Anastasia Balezdrova "Yo-ho-ho! And a bottle of rum! "I do not know about you, but when I hear the word pirates I always think of men with shabby clothes, teeth rotten from chewing tobacco, often with a missing leg or arm, with the typical pirate hat and a bottle of their favorite rum in hand, looking for the treasure of Captain X on a remote island. In recent years we have started talking again about pirates, but they do not even remotely resemble the characters from my favourite children's books. Today's pirates are among us, they are interested in the things that affect our contemporary daily lives and have ideas on how to change them. The first pirate party in the world was established in Sweden six years ago. Since then pirate parties have been established in 56 countries worldwide, and 21 of them are now officially recognized. In Europe they have already elected two Members of the European Parliament, 15 Members of the local Parliaments and 194 municipal councilors. A few days ago in the Greek media the news appeared that the establishment of a Pirate Party is also expected in the country. GRReporter contacted Anestis Samurkasidis, owner of an e-commerce company, who explained what drove the pirate flag to the warm Mediterranean. The idea of creating this party is not new in Greece. As early as 2009 a group of people, very few of whom are current members of the party, began working on the idea for the creation of a Pirate Party in Greece following the model of that in Sweden. But the organization of early elections in October 2009 and the fears that someone might try to take advantage of it led them to freeze its activities. Despite the initial enthusiasm, they let their initiative fall apart. 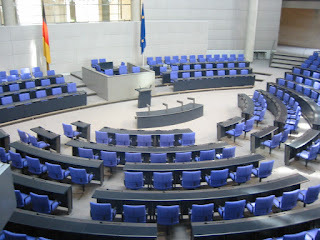 Interest in it was renewed after the election of 15 Pirates in the Abgeordnetenhaus of the Land Berlin. "So many different people, who accidentally found one another on the Internet began to organize," said Anestis. After two meetings were held in Athens and Thessaloniki three of the members participated in the congress of the German Pirate Party in Offenbach. "There we met with representatives of the International Pirate Party and Pirates from the Czech Republic, Russia, Luxembourg, Switzerland, Holland and Germany of course." In April this year the Greek pirates will attend the next annual Congress of the International Pirate in Prague, in which their fellows in ideas from at least 30 countries will participate. Pirate Parties are united around the three main ideas set in the platform of the first political formation, founded in Sweden. They are: reforming the laws on intellectual property, trademarks, patents and design protection. Within the preparation for the elections for European Parliament in 2014 the International Pirate Party has decided to summarize the principles of the parties in each country. "Some of the principles exist in all countries and others in individual cases. Reforming copyright law exists in 20 European countries. Protection of privacy, data protection and opposition to any kind of piracy prosecution interests the Pirate parties in 19 countries. Changing the law on patents interests the parties in 18 countries, transparency in the public sector - also in 18 countries. A more direct democracy is a fundamental principle of the Pirate parties in ten countries, open data and the use of open source software - in 14 countries, the independence of the Internet - in 10 countries, opposition to censorship - in 8 countries, free and democratic training - in 7 countries, the protection of informers, journalists and bloggers - in 6 countries, including Greece. We stand for creating a law that will protect these people and others, such as an employee in a company who would be willing to provide information about illegal actions of the company against the public. Four Pirate parties in Europe raise questions related to environmental protection, four others - about the main income of people, and we get to the example of the Finnish Pirate Party, which wants the abolition of the system for daylight saving time." The Greek Pirate Party has inevitably added a nuance to these ideas associated with the economic situation in the country. "Everyone we spoke to during those 2-3 months, said, 'Great, all this is very interesting, but what will happen with the economy?". So we prepared a special text in which we explain that our ideas also have an economic effect. In our opinion if there is transparency in the country, it would be able to provide one-fourth of the revenue which it is currently losing from tax evasion. I.e. If there was no corruption the country could collect another 15 billion euro annually. Therefore we want the government to be fully transparent and the citizen - completely non-transparent". 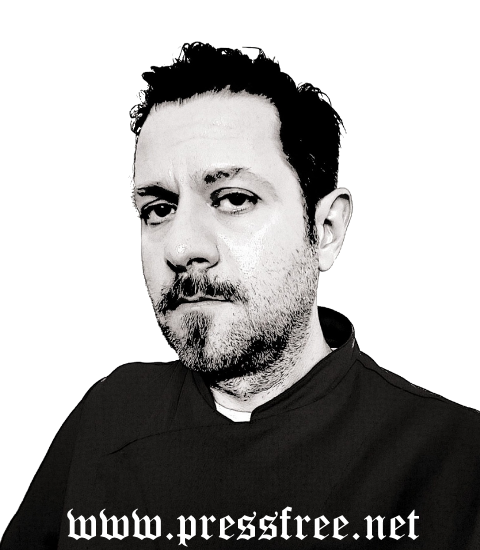 The motto of the Greek pirates is for the citizen to be completely free and for nobody to be dealing with his personal data and beliefs, for him not to be followed, to not have filters installed on his computer, to not be punished for writing subtitles for a movie. "We came to such a foolish action on the issue of copyright. About a month ago police seized a 28-year-old who wrote the subtitles for an American film and uploaded them somewhere. This action was considered an infringement of the copyright of that particular company". When I asked what happens in this case, with electronic crimes, Anestis Samurkasidis responded with an example. "Some time ago in the country a brutal murder was committed with a screwdriver. No one however said that they were in favour of control over sales of screwdrivers, for the installation of chips on them, prohibiting their purchase by persons who do not have a number of certificates and no one requested that each screwdriver be accompanied by a camera. By this I mean that we protect the instrument, which is the computer. Its poor use is the other side of the issue and we are naturally against this. But the point is that currently the law condemns the "screwdriver", while it is the action that must be punished". Is it however possible to practically separate the computer from its use? Anestis Samurkasidis stated that "the last of our principles states that the party favors the adoption of decisions by the entire society, each citizen individually and fights for everyone to have access to information. The aim is to take decisions based on this information, to create digital platforms that will allow people to express their opinion on any subject. This principle gives the solution to many questions. Unlike many political parties we don’t have ready solutions for everything. We offer this course of action that will allow us to find solutions." Despite the preference for electronic voting, the statutes of the Greek pirates also provide for voting in the traditional way through ballot-papers and ballot boxes, "where the citizen and his anonymity should be protected". Pirates believe that as in the other European countries also in Greece they will be supported by people aged 18-45 years, "i.e. those people who were the first to use a computer 25 years ago and today's young people whose lives are connected to computers". It is typical for the pirate parties that their occurrence has managed to get many people, who were previously passive to vote in the elections. "We realized this in the messages that we received in two days. From the 3rd of January until today, our website has been visited by 20,265 people. Many of them write in their comments that they had had no intention of voting, but after reading the manifesto and the statutes they have decided to go and vote". "We are starting the discussion for a change in the operational system of society. If we imagine it as a computer, then we provide the applications for it. It is on them that we all together will install the programs to make the adjustments. People have asked us what we will do about pensions. What could we as a new party do for a long-standing problem? Our answer is that we provide the method through which we will decide together what to do about this issue". Greek pirates are preparing to participate in the elections for members of the European parliament, but if national elections are held soon, it is possible they will participate in them as well. "The members are the ones who will decide whether we will participate or not". Pirates discuss and take their decisions over the Internet. Only a few days the party had 50 members. "After this avalanche of visitors to our web page another 500-600 people have expressed their willingness to participate. When in a few weeks we go to the Supreme Court to submit an application for registration we will be at least 250 people. We want to have at least 10-20 thousand people, to take better decisions". The Pirate Party is completely different from the familiar political forms because of another typical feature it has. It has no chairman and it is managed by a council of seven. In their articles of association it is provided that one of them assumes the leadership every four months on a rotating basis. "But his powers are very small. He just puts his signature, if needed somewhere and convenes a meeting of the management council once a month". All meetings are held over the Internet and the only exception is the annual Congress and some local gatherings. Pirates have their own server called mumble with an open source, which is, however encrypted. Thus they are confident that nobody can hear their conversations. Party members are aged between 22-42 years and about three-quarters of them are students or are employed in the field of information and communication technologies.